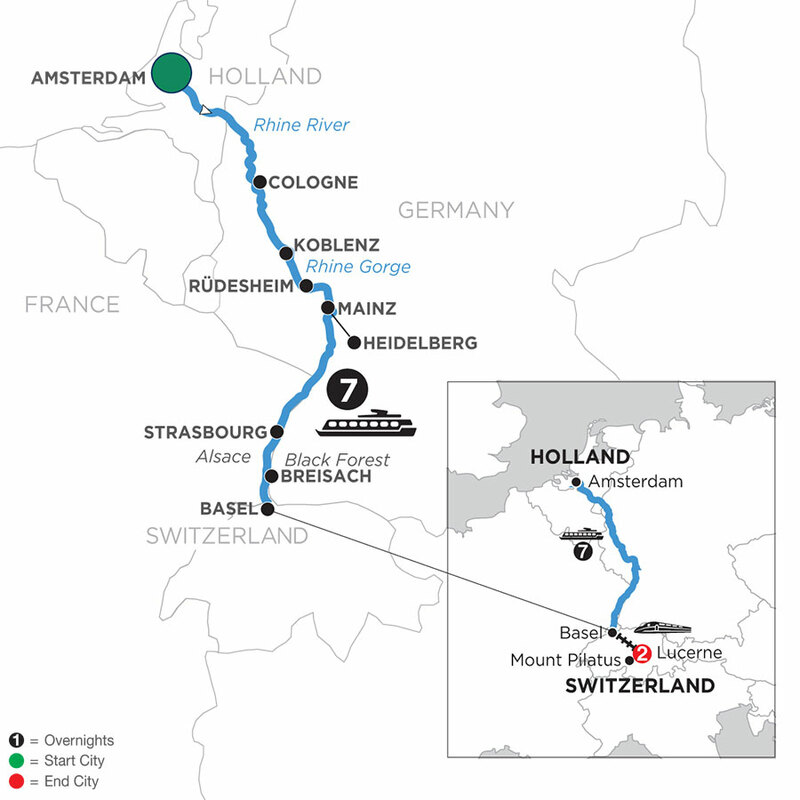 Your 10-day river cruise vacation includes stays in Holland, Germany, France, and Switzerland-all beginning with your Avalon scenic river cruise embarking from Amsterdam. Before sailing down the Rhine River, you’ll enjoy a guided canal cruise through the colorful city of Amsterdam. Next, you’ll cruise to Koblenz-with 2,000 years of history in its monuments, fortress walls, and towers. Later, relax on the Sky Deck of your ship as you pass through the spectacular Rhine Gorge on your way to Rüdes-heim. You’ll take a guided tour of Rüdesheim’s outstanding Mechanical Music Museum. 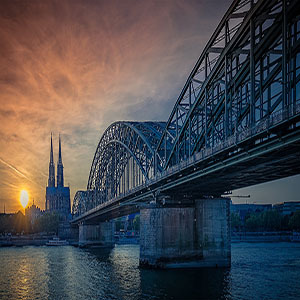 Sail into Mainz for a city sightseeing, including a visit to the impressive Gutenberg Museum or choose an ex-cursion to nearby Heidelberg-and cruise to Strasbourg, France. Then, stop in Breisach, Germany, the gateway to Germany’s Black Forest-an area of unrivaled natural beauty-best known for Black Forest ham, cherry cake, and the cuckoo clock.